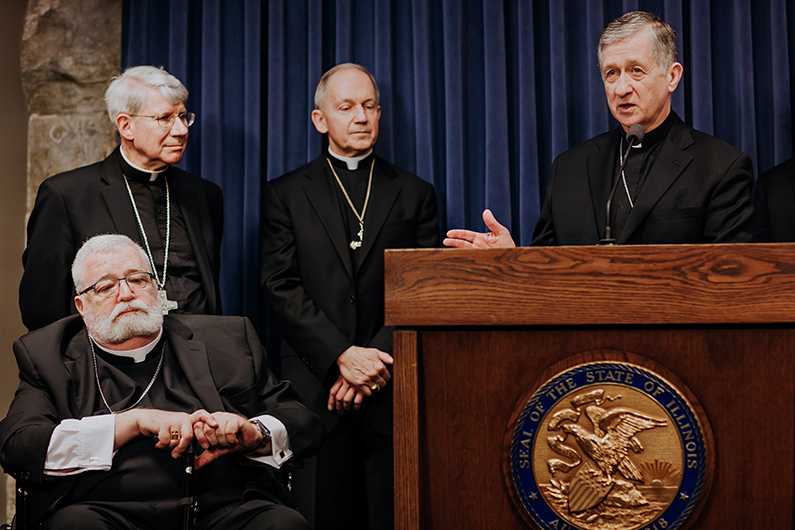 Cardinal Cupich speaks to the press March 28 at the capitol building. Bishop Daniel Conlon of Jolliet and Bishop Thomas Paprocki of Springfield. Click here for more from Chicago Catholic.